It is a gross understatement to say that Jersey City has changed from my high school days in the Seventies. Once a predominantly rough and tough urban locale, a large section of the city near the waterfront has been totally transformed over the last few decades. It’s as if lower Manhattan drifted across the Hudson River. Skyscrapers and high-rise condos now stand where urban decay once stood. Yuppies reside where street gangs once reigned. During my recent Springsteen trip back to New Jersey, a few of my old high school buddies planned a Facebook-driven, mini-reunion for Saturday lunch. 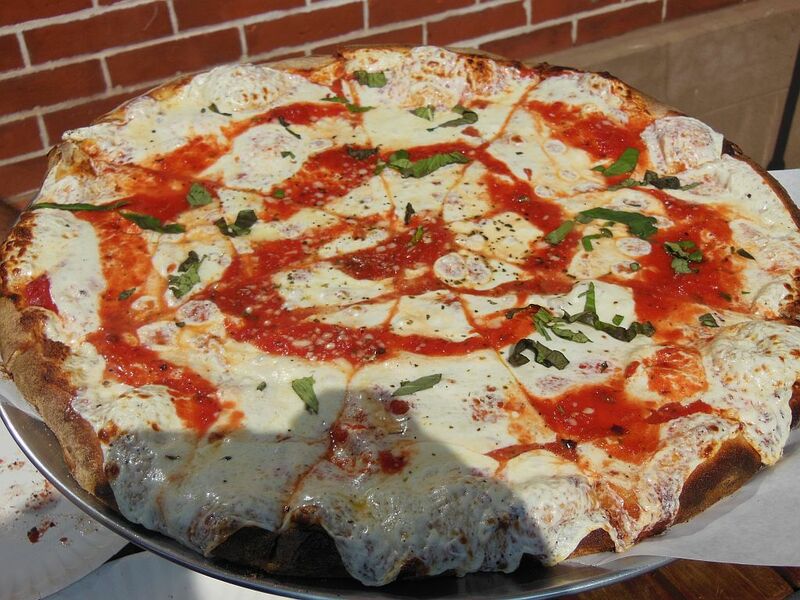 Feeling obliged to pay homage to the Snob, one of them suggested Paulus Hook Brick Oven Pizza. 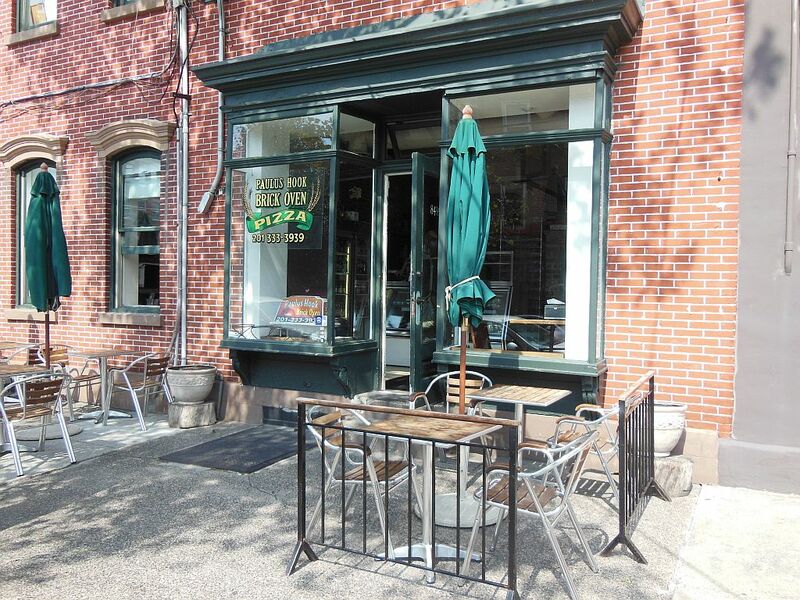 None of us had been there before, but it served as a good meeting place since it was just a few blocks from our old school. I had mixed emotions: I tend to be leery of non-NY style joints. I certainly didn’t want to sound like too much of a snob to a bunch of old friends whom I rarely see, so I agreed. Well, my afternoon couldn’t have been better! Not only did I have a blast revisiting old times with old friends, but the pizza was fabulous! It didn’t quite match the flavor extravaganza that I recently experienced at Ignazio’s in Brooklyn, but the Paulus Hook pie was delicious. Made with fine, fresh ingredients, it was cooked just right -toasted nicely, blackened on the bottom, and firm enough to hold, fold and crunch. As for the two different types of pies we tried, the Sicilian (round, not square as I expected) seemed to offer extra cheese but not the typical thicker crust. I say, stick with the Regular -you won’t be disappointed. 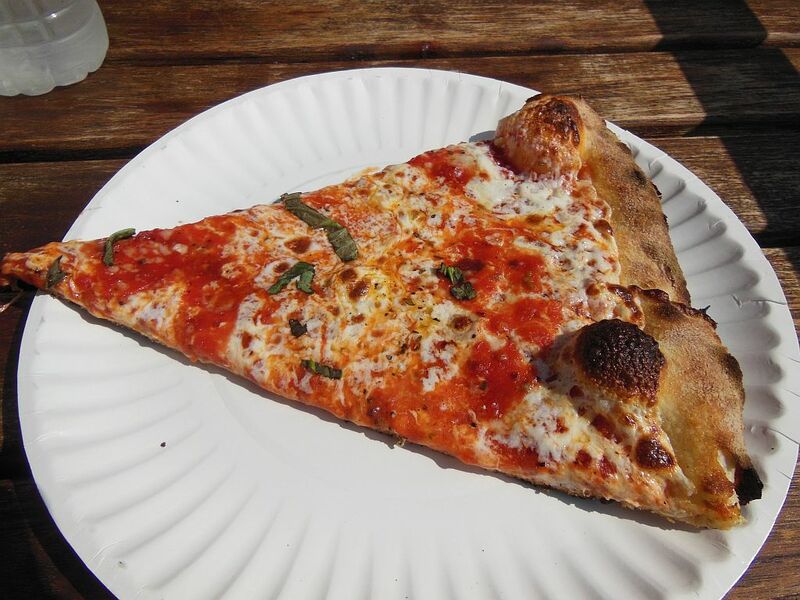 The Regular slice is pictured below on the left, the Sicilian pie on the right. 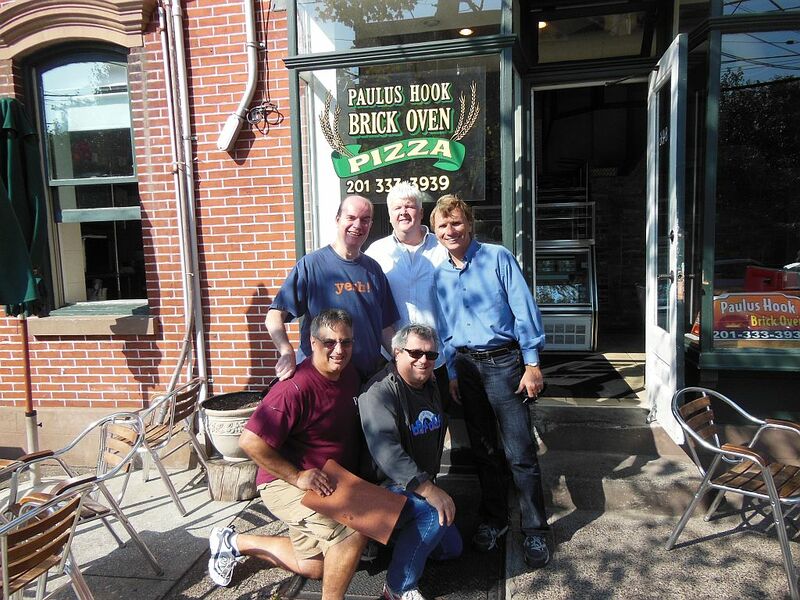 The five of us had no trouble knocking off the two large pies, and we all agreed that Paulus Hook Brick Oven Pizza was a hit! Here’s me and some of the St. Peter’s Prep Class of ’73. Thanks to the owner for taking this shot.